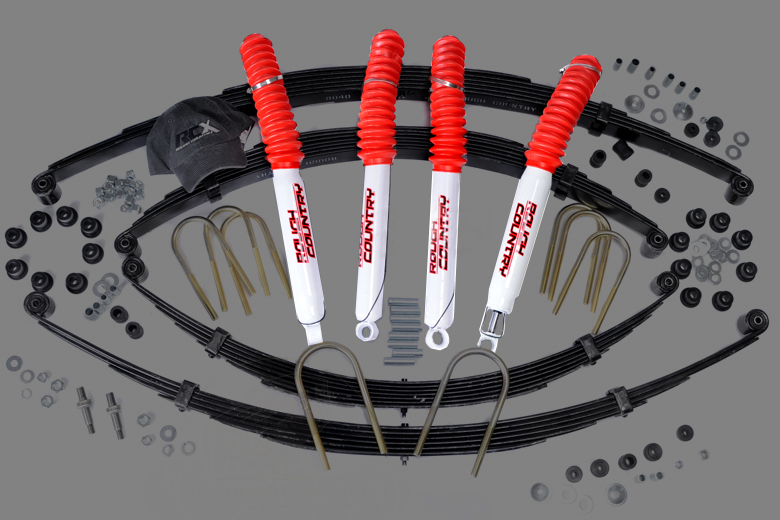 Rough Country 8000 Series Shocks For Scout II Lift Kits. If you need a spare shock for your lift kit we have them available. Please Specify if you are needing the FRONT or REAR and if you have a 2-1/2" or 4" Rough Country Lift Kit. This listing is only for replacement shocks. Sold as each, not a set.